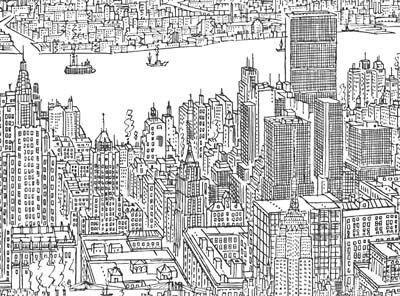 The City Quilter in the New York Times! The City Quilter, A BERNINA dealership in New York City, was featured in the Sunday, October 2nd Metro Section of the New York Times! You can read the article via THIS LINK to the Times’ website. 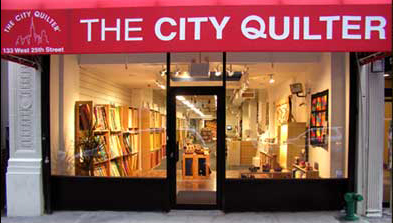 It is the “Neighborhood Joints” column, and associated with the article is a wonderful photo gallery of the shop and the ArtQuilt Gallery-NYC. ArtQuilt Gallery and The City Quilter were also featured in the New York-themed, September issue of Interior Design Magazine (page 50). The article included photos of their two new “City Collection” fabrics, New York Line by Line – Day and New York Line by Line – Night, as well as quilts from the current “Explosions in Color” and upcoming “Material Witnesses” exhibits.